ISLAMABAD: Minister for Information, Broadcasting, National History and Literary Heritage Barrister Syed Ali Zafar on Thursday said that Pakistani citizens were facing problems due to lack of education facilities, health and jobs, however, they have strong culture and traditions that bind them together. “We are a peace-loving nation, we don’t just shake hands but also embrace each other, which manifests a strong bonding sense among the people,” the minister added. 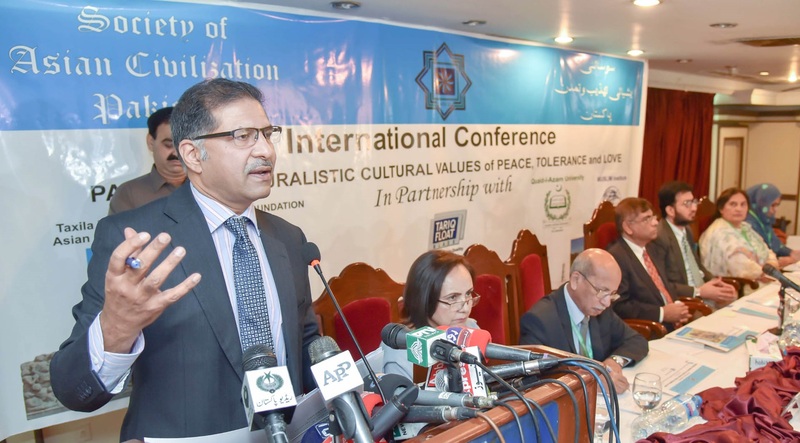 Speaking at an International Conference entitled “Pakistan’s Pluralistic Cultural Values of Peace, Tolerance and Love”, he said that any kind of intolerance was an injustice to humanity and emphasised that one of the main reasons behind the increasing intolerance in the world is the lack of education and opportunities, absence of discussion as well as, increasing disparity between the rich and poor. The minister said that the world should unite against intolerance and injustice to promote values of harmony and love for ensuring sustainable peace. He said the country’s constitution guaranteed basic rights of the people including the freedom of speech and expression. The constitution also gave basic rights to the minorities and the Pakistani state is protecting them from all kinds of oppression. “Sufis focused on God and their doors were opened for people of every religion. The basics of our religion included the fundamental rights of people that were also enshrined and preserved in our constitution,” added Ali. He said Pakistan faced a difficult time because of the confrontation between the United States (US) and Soviet Union which divided the world between the east and west blocks. Pakistan fought a war, then the US left the region and abandoned the country,” he said adding that the armed forces and people of Pakistan fought with resilience against terrorism and repelled the views which terrorist organisations were imposing. Ali Zafar said despite all the turmoil, the people of Pakistan desire peace and harmony and that women play a critical role in ensuring peace and progress in Pakistan. “We gave unparalleled sacrifices in the war against terrorism and won the war with our unity and solidarity. Those who commit atrocities against minorities are not Pakistanis,” he observed. The minister concluded by saying that oppressing minorities anywhere in the world was condemnable. And that education was a key to resolve problems and should be treated as a security issue like other security challenges posed by water scarcity and terrorism.